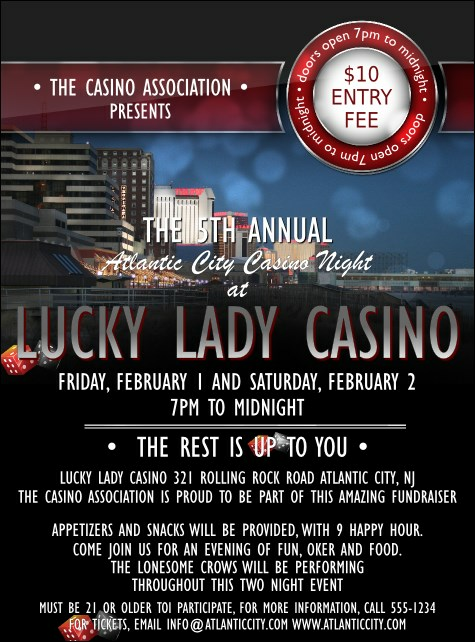 Create excitement around your gambling event with the Atlantic City Flyer! The bright lights of casinos line the top, with white text on a dark background to help your event information stand out. Post these all over town or distribute to potential guests on the boardwalk!